Jon English, an Australian singer and actor, died earlier this year. I had one of his records for sale online, the soundtrack to a 1978 historical drama, all about Australia in convict times, Against the Wind. Soon after Jon died, someone ordered it. Not too surprising – except that the order came from, of all places, Norway. One thing I am curious about – Jon English was big here in Australia, but I am a little surprised that anyone in Norway has heard of him. I take it you are a fan? Sad about his passing. A Danish artist, Lene Siel, did a duo with Jon English with the song “Six Ribbons”. Norwegian band Green Carnation did a cover version of the same track. Jon English played at the Sweden Rock Festival 2013. So, you see, he’s well known here. And yes, I’m a fan myself. Very sad he died so early and so unexpected! 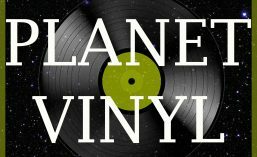 Usually on Planet Vinyl, we don’t play the hits, but here I will make an exception. I learned this song back in primary school, and love it still. Have a listen, and you’ll see why it was big in Norway. This entry was posted in 12", 1970s, 33 rpm, Folk, LP, Soundtracks and tagged Against the Wind (mini series), Green Carnation, Jon English, Lene Siel, Norway, Polydor (label), Scandinavia. Bookmark the permalink.